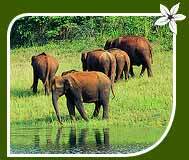 Periyar National Park, located in the state of Kerala, is counted among the best wildlife reserves in the world. Periyar national park is at a height of 1800 m above sea level and spreads across an area of 778 kilometers. 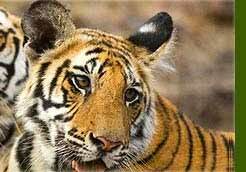 The Periyar National Park is indeed a Tiger Reserve but then people come here to witness the fun loving elephants. An artificial lake at the core of Periyar national park adds a milestone to its glory and tempts the wildlife as well as the tourists to be in the jungles of Periyar. Best Time : October to June. The wildlife species in Periyar compromises of a healthy mix of fauna and avi-fauna. A large number of elephants spotted at random gives a clear indicator of the availability of elephants over here. 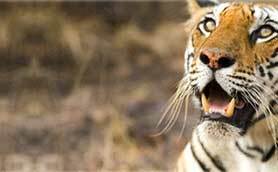 Also, here there are large number of tiger, leopard, wild dog, barking deer, mouse deer, Nilgiri langur, bonnet macaque, sambhar, porcupines, squirrels, gaur, wild boar and sloth bear. The monitor lizards, pythons, king cobras and flying lizards can also be spotted over here. The avi-fauna consists of about 260 species of birds found over here. These include darters, cormorants, ibises, gray herons, mynas, ospreys, thrushes, blue-winged parakeets, flycatchers, orioles, wood pigeons, kingfishers and kites as well. 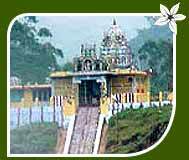 Visit the temple of Mangla Devi and seek her blessings. Catch up with Kumily , an important tourist spot with excellent hotels and restaurants. The town is also known for the spice trade, that's the major occupation over here. The cardamom hills are worth-watching. The Periyar and Kumily are two important places from where you can have a view of the wonderful cardamom hills. Quench the desire of boat ride on the lake. Also, one can go for motor launches that are available throughout the day from 6 in the morning to 4 in the evening. Travel(Air/Rail/Road) Information The Periyar National Park is well connected from Kochi and Madurai airports. The Indian Airlines operates daily from major Indian cities to Cochin. There is a proper network of railways that connects Kottayam to major cities like Delhi, Mumbai, Banglore and Chennai. The Kerala Exp., Kanyakumari Exp., Trivandrum Mail and Exp. are some of the important trains that link the above mentioned destinations. Major national highways that provide road connectivity to Periyar with the key destinations of Kerala include NH 49 and NH 220.